1. 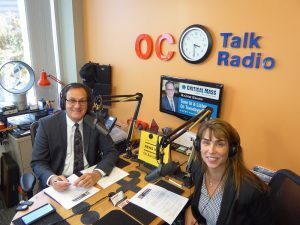 “You don’t think about it, because you don’t have to.” While on Critical Mass Radio Show, Susan Kenny explained that there is an exponentially large need for the services that the OC Ronald McDonald House provides to families whose children are in the hospital, however, many people do not know what the organization does. Just because you have not been exposed to a need, does not mean it does not exist. 2. Collaboration is crucial. The OC Ronald McDonald House works hard to collaborate with other stakeholders in the area. Whether it be the Children’s Hospital of Orange County, Make A Wish, or other local non profits, the OC Ronald McDonald House works tirelessly within the community to ensure that children in the hospital, and their families, receive the care and support services that they deserve. 3. Name/brand recognition can be a benefit, but it can also be a challenge. Susan Kenny explained the organization’s connection to McDonalds raises a lot of curiosity, but also a lot of confusion. She shared that, because of the name, many people do not fully understand what it is the organization does, or realize that the organization needs support, just as any other non­profit does.